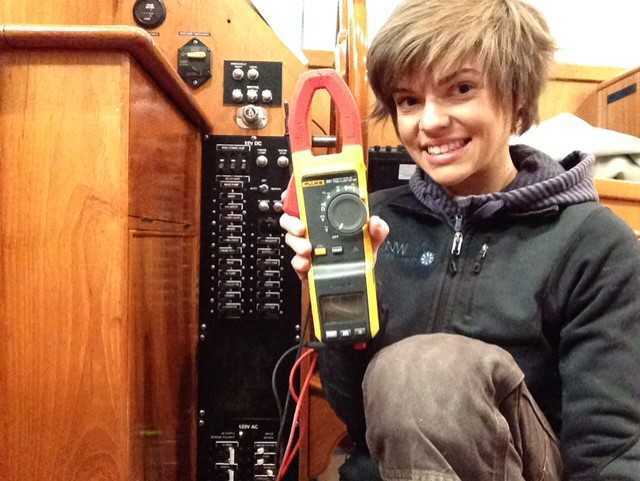 Cruisers college will help you better understand your vessel’s electrical systems. There is plenty of information every boat owner should know about these critical systems, whether they are doing routine inspections, battery monitoring, or simply trying to understand the system on your boat and “Keep it Alive”. Jen received her marine training from the Skagit Valley College Marine Maintenance Technology program and holds ABYC certifications in Marine Electrical, Corrosion, Gasoline, and Diesel Engines. She specializes in AC and DC electrical troubleshooting and has a passion for labeling. Jen currently works for NW Explorations in Bellingham, WA as a lead technician. In addition to being an ABYC Master Technician, Jen has a BA in Fine Arts from Seattle University. She enjoys spending her free time sailing and power boating around the San Juan islands.